This week we’re getting to know M.D. Tolman, author of the fantasy novels Aldenaire and The Wolf of Class 1D. But writing is just one of this author’s many talents. What if you could see emotions? What if our personalities took form? Miyaki Mei was wholly unimpressed with her high school life, until a traumatic event left her with the ability to see the 4th dimension, the place where our emotions and personalities take form. Along with Finn, a seemingly unimpressive transfer student who shares a similar ability, the two team up in order to better understand their place in the world while also aiding their classmates in their own internal struggles. A creative visualization of the battles we all face inside, the war which usually goes unseen. Author, business graduate, voice actor, and all around creative person; Malcolm is a man whose curiosity can never be sated. From childhood, he had a great fascination with storytelling and worldbuilding. Inspired by the world of comics, manga, and animation, Malcolm developed a unique and fast paced writing style filled with rich and imaginative imagery. In 2010, Malcolm took the plunge publishing his first novel Aldenaire which introduced him to the world of professional writing as well as cemented his love of fantasy world building. Now Malcolm releases The Wolf of Class 1D. A very different book for him, but also one of the most personal works he has ever written. I am Malcolm Tolman. I am a person of many pastimes from voice acting, to writing, to programming, to Japanese study, etc. 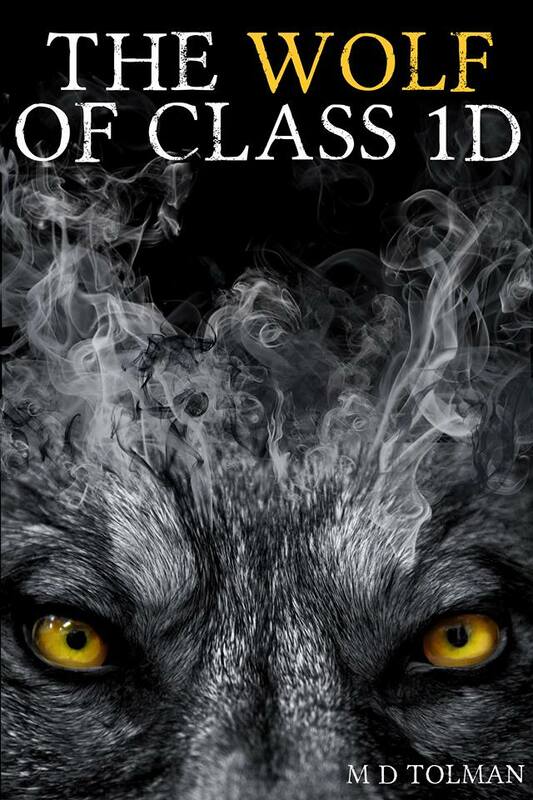 I have just recently published my second novel The Wolf of Class 1D. It is a story built around the concept that our personalities and emotions are tied to, but not bound to our physical bodies. They exist in the fourth dimension in a form that represents us, and as we suffer or grow, our fourth dimension selves change with it. The story is about a high school student named Mei who gains the ability to see and interact with the fourth dimension, after meeting a transfer student named Finn who can also sense the fourth dimension, and how the two use their powers to better help and understand their classmates’ internal struggles. This is actually a complicated question! 😛 I’ve loved books for as long as I could remember. But I am dyslexic so I mostly stuck with books that had small bursts of text like comics, children’s books, and textbooks (at least it was broken up by pictures) for years. Looking at how far the genre has progressed, I really wish I had access to the level of graphic novels that we have now a days, as I was mostly stuck to newspaper comics growing up. It probably wasn’t until the 8th grade that I really started muscling through reading… fantasy and sci fi always grabbed me, but my parents weren’t really fans of the genre so I had never really experienced them fully until then. Once I started though, I never looked back. What is this maddening question??? I have to choose only one?? 😛 I don’t think I have just one… I’ve read Dr Seuss and Robert Munsch more times than I can count… Hardy Boys as well… Boxcar Children, Robin Hood… though it’s not a children’s series I read Circus and Caravan to Vacarres by Alistair MacLean and they are both AMAZING…. Not to mention anything by Agatha Christie, Ellis Peters, or Jane Austin get an instant win for me. (save for Emma… She is a character I do not enjoy…) If I had to narrow it down though… I always loved Chronicles of Narnia… I would probably have to choose between Lion the Witch and the Wardrobe, The Last Battle, and The Horse and His Boy. I think every book has shaped (maybe arguably ‘warped’) me…. But again I can’t just choose one book so instead I’ll narrow it down to two authors. Alistair MacLean taught me how to write action. His stories are so fast paced and they really start you right in the middle of the story. They’re the kind of writing where the answer has been in front of you all along but you’ll never guess the kinds of twists until after you read it. I have a lot of respect for that ability. JRR Tolkien on the other hand (in spite of being as polar opposite of Alistair MacLean as they come) taught me world building. The depth of detail that goes into his stories are mind blowing. I soaked up the Lord of the Rings like a sponge in high school. I also found his imagery to be very vivid… I remember one time years later I got to watch the Lord of the Rings extended edition again, and I was disappointed as the scene where Theoden gains back his strength wasn’t half as amazing as I remembered it… then I realized the scenes I saw in my head were actually from the book, not the movie… THAT to me is good writing… Personally (while I still have a long way to go) I would love to perfect a writing style that combines the two. The action, hidden plot twists, and speed of MacLean with the depth, imagery, and history of Tolkien. Oh man… I’ve been so busy lately… what was the last fictional book I read??? It was either Log Horizon, Sword Art Online Progressive, or Harry Potter and Prisoner of Azkaban… I do have a list, though, of rereading Lord of the Rings start to finish, The Legend of Drizzt series, finishing Harry Potter, and also looking for a good Sci Fi series for practice on a new story I’ve been plotting in my spare time. If I had to choose a favourite? hmmm… I’ve really been enjoying the Sword Art Online Progressive series. I really think it’s gotten the series back on track of not being about awkward romantic encounters when a perfect romance that had already met closure, and has gotten back to the analysis of how people would react when trapped in a life or death situation without rules, as well as the effects PTSD has on one’s whole life. I really appreciate it for those reasons. CS Lewis. Hands down. The man just had a way of explaining very complex things very simply and practically, as well as was very observant to the things around him. When reading his non-fiction books I always read a chapter and then have to stop for a few hours, because things he points out as simply as “it’s cold so wear a sweater” are so impactful that they can change the entire way you look at the world. Please see above…. I am probably going to get in trouble for this… so please realize I was about 5 when I wrote this, but I wrote a 20-some page book, typed up in windows 3.11 and printed out on dot matrix printer paper, a book known as “The Fat Bandit”…… political correctness is not a strength of 5 year olds. It was really more of an extended chase scene, where the detective, whose name escapes me, was chasing after an overweight criminal who had… stolen all the food… chaos ensued… Sometimes our early works are so bad that we’ll never forget them! Dyslexia has always been a challenge in writing. I am far better than I was, but even now I’ll read back some lines and find words are written out of order or whatnot. On top of that, my first published novel was self published on lulu back in a time when self publishing was looked down on far more than it is today. It is honestly hard to see a project you’ve devoted four years of your life to get torn apart and tossed aside as soon as you mention you’re self published. I’ve even had authors yell at me for DARING to have the NERVE to be big headed and call myself a REAL author when I’m only self published. Even getting my book accepted into the library didn’t seem to appease people. The bullying got so harsh that I honestly went dark for 6 years. Never even told anyone I had ever written a book, until cleaning out an old box I found the leftover copies I had and offered to give them away just to get them out of my sight. But that led me to the best part which is hands down the readers. People think that the best way to support an author is to buy their work… this isn’t really true. The best way to support an author is to READ their work. I don’t care if you bought the book, got it from a library, borrowed it from a friend… Read the book. Get excited about it. Ask questions about different scenes. Speculate. Draw fan art. Just enjoy what you read fully. I can’t even explain how humbling and yet empowering it is to have a fan run up to you and eagerly tell you how your book changed their life and ask you questions about this scene and that. It’s what brought me back out into the open again, and got me to a point where I was willing to publish yet again! Plus, I’m an author who loves to hide little hints and secrets in my stories, so… I like it when readers manage to catch on. “Write the story you want to read. That way you’ll always have at least one fan.” In all honesty, I was talking with some other authors about this recently. I think new authors get too caught up in the finicky details of structure and style. Your PRIMARY goal as an author should never be to “Write like ____” or “Write according to ____ template.” Those are all good inspirations, but as an author, you have a story in your head, and you want to communicate that story to your audience. If that means you write in a way that is grammatically incorrect, or your spelling is wrong, or if you have a page where the words are written in the shape of a fish… None of that matters so long as every choice you make is to effectively communicate the world in your head to the reader… now learning styles and grammar and such can HELP you communicate more clearly, but it should never be an overriding primary goal. How many projects am I currently working on…. Well as I said in the first question, I recently published The Wolf of Class 1D. I have sent it in for distribution so it should be available from most online stores within the next few weeks, but it’s available internationally for early purchase now from lulu.com. That being said, The Wolf of Class 1D was actually originally a writing exercise I did while waiting on some artwork for another series I was working on called The Technomancer Chronicles. Book one is in the late revision/editing stage, but it was placed on hold as I was working with an artist on it for some images which ended up falling through. Technomancer Chronicles is a 7/8 book series which revolves around our world of science being a dimensional copy of another world which relies on magic. If science is the power of the mind, magic would be the power of the heart. It sort of covered the concept that there are dangers of relying entirely on your heart or entirely on your mind, but a strength found in the balance. Plus it has some of my favourite OP characters I’ve ever written. Other than that project, there are a number of books I WANT to write that currently wade in my “writing purgatory folder” as I call it. There’s a mind-bending steampunk novel about a prisoner on death row who can’t remember what he did or why he’s given the job of protecting the young princess until she is queen at which point the queen will decide his fate. There’s a scifi I want to write where humans blew up their own planet and are now considered the refugees of the galaxy and treated like untrustworthy trash as their hubris had nearly destroyed everyone. Also when I was in college I used to write a superhero story about a Canadian superhero called Wireless who had to decide if it was worth fighting to protect a country that feared him… I’d love to see that turned into a novel… Not to mention I get MANY requests to write the prequel/sequel to Aldenaire which…. we will see. AH! So many stories! You wish you could just download them all from your brain, don’t you? 12. Besides writing and reading, what are some of you other interests? I am a Jack of All Trades, Master of None. 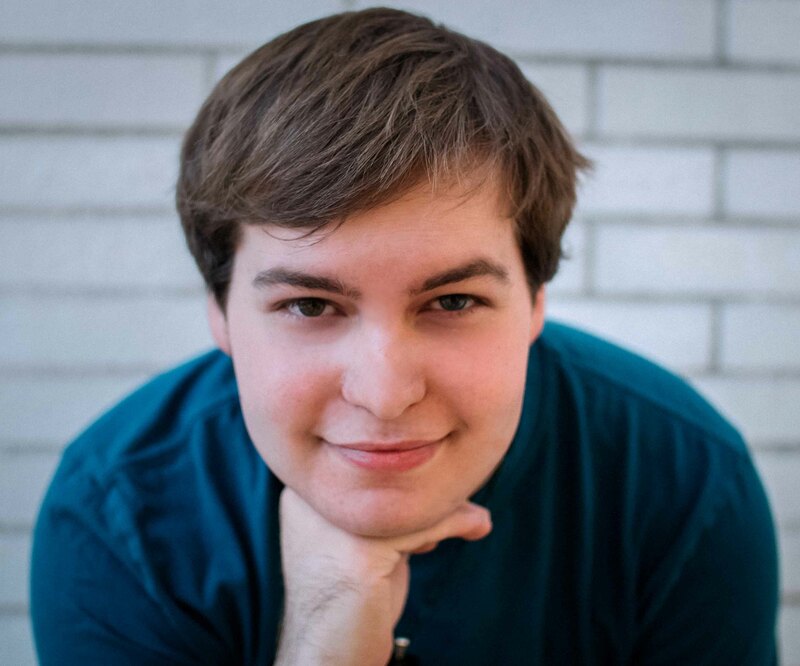 I enjoy cooking, video games, voice acting, I play a few musical instruments, I used to be pretty involved in aviation and LOVE the feeling of flying, I’ve been teaching myself Japanese for 4 years and am also trying to teach myself programming…. Also recently went back to taking online courses to upgrade the college diploma into a bachelor’s degree… Honestly, most things that involve worldbuilding, story telling, or encouraging others to be stronger I’m interested in… I also have an insatiable curiosity so I can’t rest until I understand how things work. OOO! So many places…. but if I have to choose just one, I have to say Japan. I’ve been studying Japanese for about 4 years now, and I still have so much farther to go with it, but I’ve promised myself I’m going to Japan at least once in my life someday! The easiest way to connect with me is my twitter @MalcolmTolmanVO, however you can also e-mail me at vo@malcolmtolman.com. My website is www.malcolmtolman.com and has most info you would want to find out about me. I am on most social media sites, but those are the three easiest ways to contact me! Thanks for reading my rambling answers and I hope you enjoyed! If I can give one parting piece of advice to you, it would be this. You are going to fail….. and that’s okay. In fact that is excellent! It is through failing that we learn. It’s through failing that we grow. Don’t feel like failure is in any way tied to your value as a human being. You are alive, you are invaluable. Nothing can change that. Thanks for sharing a little about you! I look forward to meeting more of your fascinating characters in the future! Next Why Don’t I Review Books?